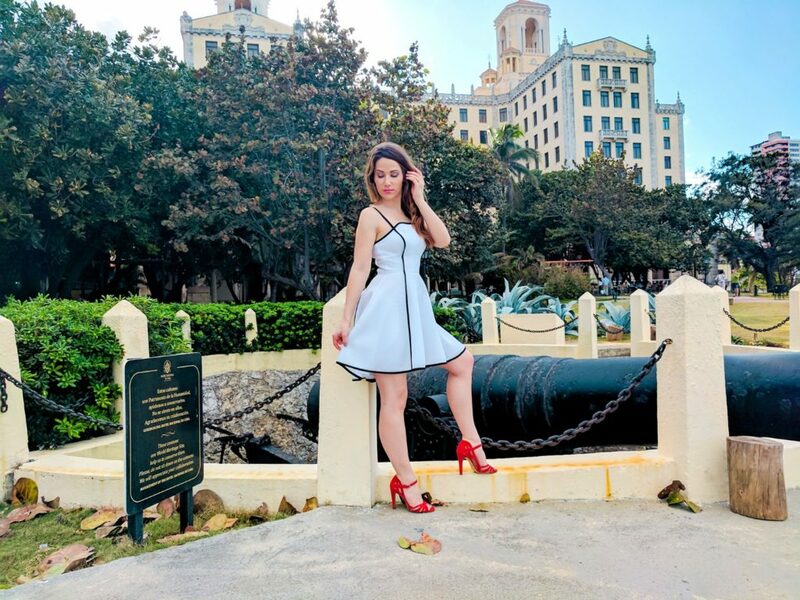 If you’re looking for a quick vacation for a couple of days and you want a completely new experience, I highly suggest you consider a trip to Havana, Cuba. You’ll have the opportunity to immerse yourself in a totally new culture and explore somewhere that many Americans have considered off limits for decades. It’s a lively country, perfect for anyone who loves dancing, drinking, seeing history and making new friends! A short flight from Miami makes spending 3 days in Havana, Cuba the perfect long weekend getaway destination. When you’re traveling in Cuba you really only have two options for sleeping. You can stay in a hotel or a casa particular. Casas particulares are rented rooms in a private home and by far the most popular way to see Cuba. There aren’t really any luxury hotels outside of a few resorts. What we would consider a 3-star hotel is, in Cuba, a 5-star hotel. Though one option is the Hotel Nacional de Cuba where President Obama stayed during his visit to the country. Another wonderful place to stay is Hotel Saratoga, which is where I stayed. This hotel is also famous for hosting guests like Beyonce and Madonna. Their roof-top cocktails are a great way to relax after a long day of adventuring. Hotel Parque Central is another wonderful choice with a bright lobby and lots of history. As I said before rooftop cocktails at Hotel Saratoga are a fantastic way to unwind. But it isn’t the only place. Drink a mojito at the Hotel Nacional made with light and dark rum. Have a Daiquiri at Floridita, which was one of Ernest Hemingway’s favorite hangouts. Of course, as fun as drinking the entire vacation away may be, you do also need to eat. Paladars are the island’s favorite place to get food. They’re small, privately owned restaurants that were actually illegal until the 1990s. 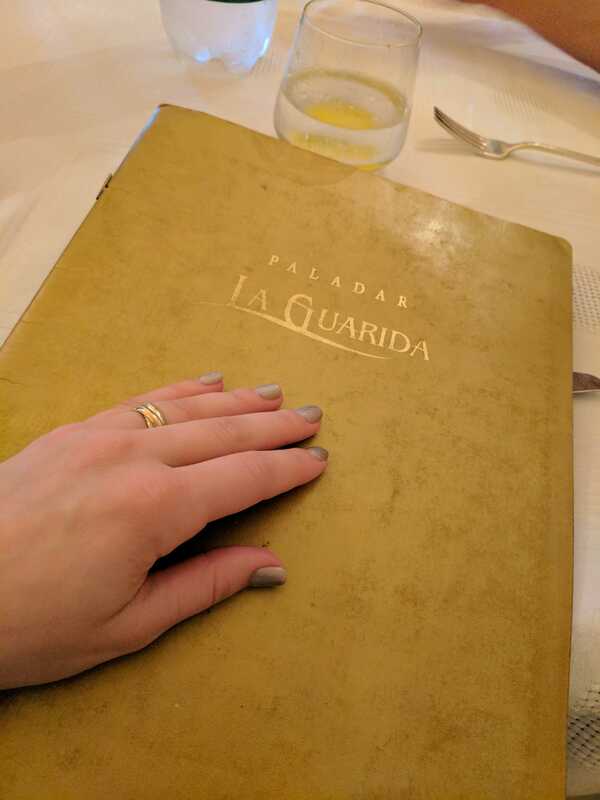 If you’re looking for a high-end Paladar try La Guarida. It’s considered to be quite exclusive and is a favorite of Jay-Z and Beyonce. 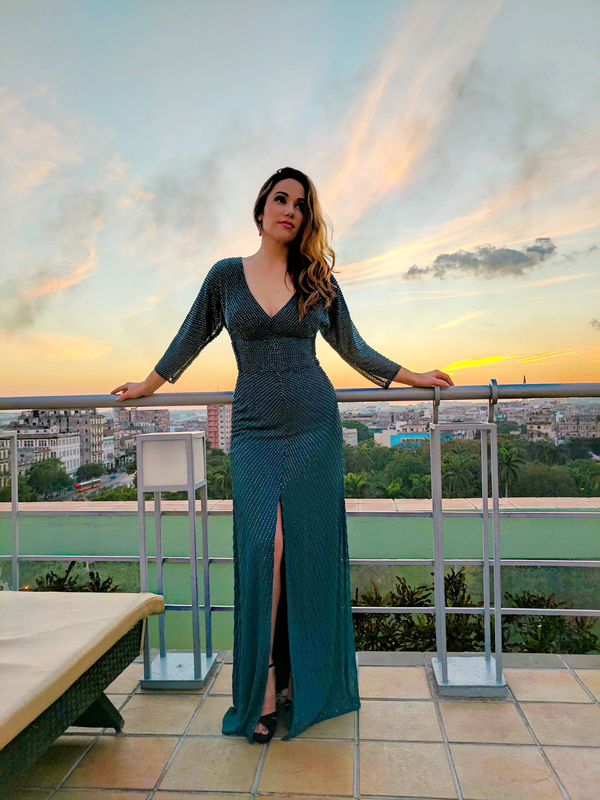 Hotel Ambos Mundos rooftop bar is another wonderful place to stop for a mojito, a few bites to eat and some incredible views! Also try out Atelier, another Paladar. It’s one of the best places in Havana to get seafood. While you’re in Havana be sure to make a stop in Sloppy Joe’s which famously was a huge tourist destination during the Prohibition in the United States. American tourists flocked there to get the gambling, alcohol, and nightlife they couldn’t find at home. It was closed for 48 years but made a return in 2013 after getting a renovation. Of course, you need to do something with all that time in between eating and drinking. Doing this online isn’t always easy as Cuba has spent a long time cut off from the rest of the world. I booked my trip through Cuba Travel Adventures Group. 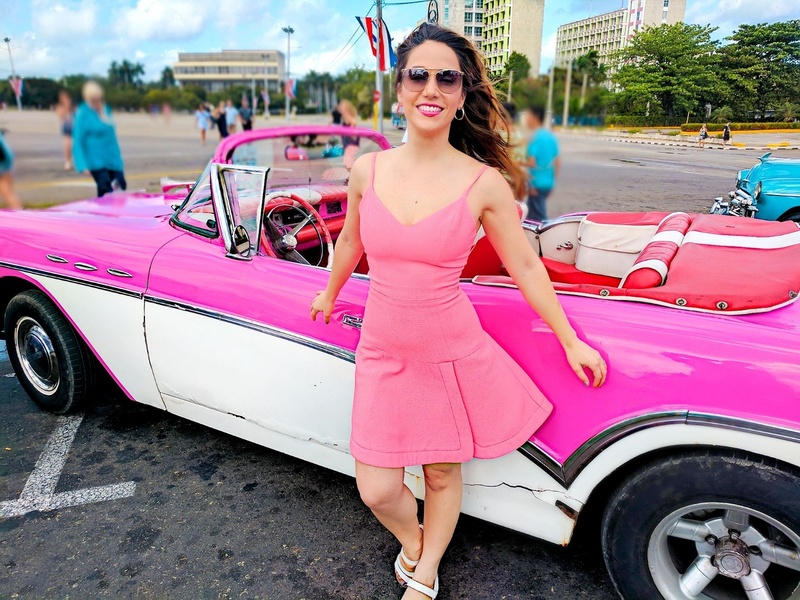 They’ve been planning and leading legal trips to Cuba for years now and can really tailor make your Cuban adventure depending on interests, length of stay, budget and more! 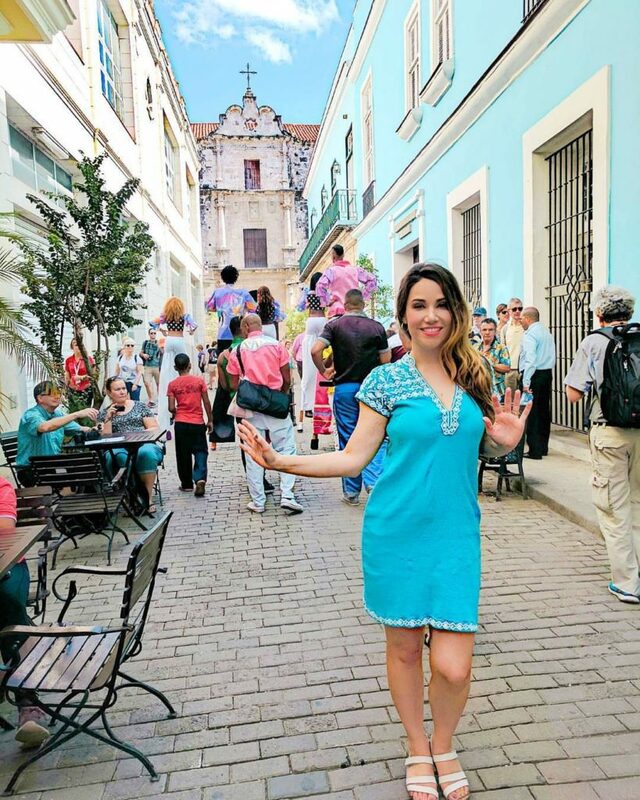 They handle all required visas and travel authorizations from the U.S. and provide trained U.S. guides and English-speaking Cuban guides hand-picked for each group. My guide Melina was so knowledgeable and a total sweetheart. She took incredible care of me and my husband. 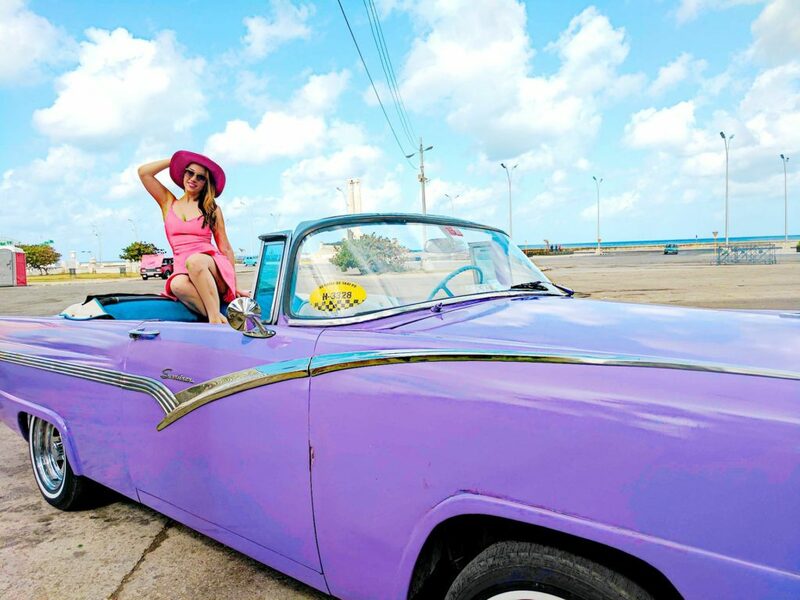 One of the best things to do in Cuba is going on a vintage car tour. You’ve seen all the gorgeous old cars in just about every photo of Cuba there has ever been. Now you can take a ride in one. Cruise along El Malecon with the top down. While you’re out on your ride be sure to stop at Revolution Square, which is filled with history. You can also make a stop at Amadoras Park, one of the most iconic parks in Havana. Finish up your ride with a tour of Old Havana. It’s the historic center of Havana and a UNESCO World Heritage Site. There you’ll find one of the most beautiful plazas in Havana. 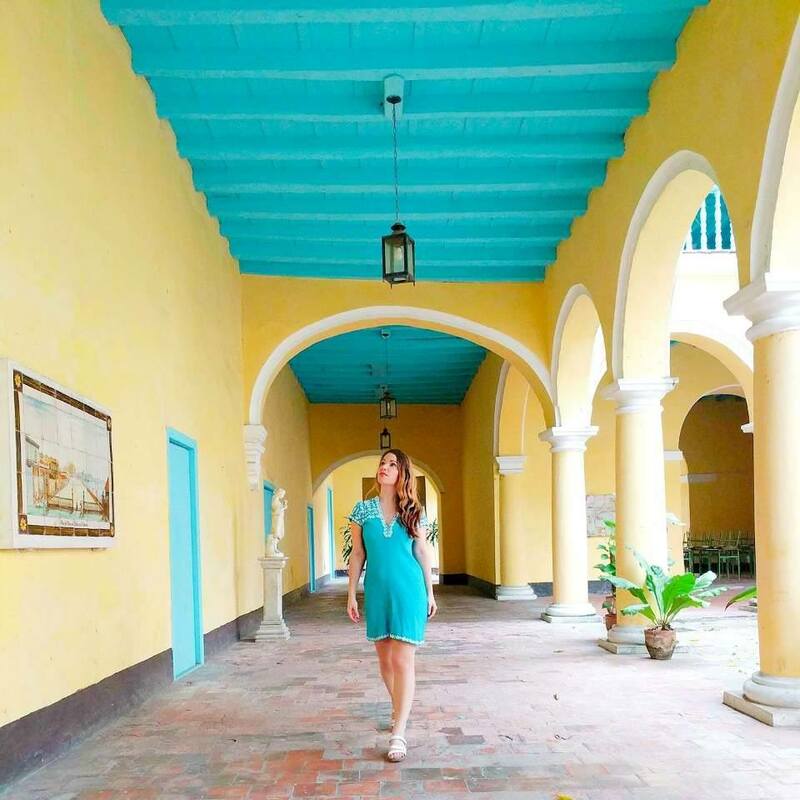 Take your time exploring the gorgeous, colorful Old Havana. For my fellow Instagram addicts, it is a total dream! You must have a hand-rolled Cuban cigar! If time allows you can actually go to a tobacco plantation. 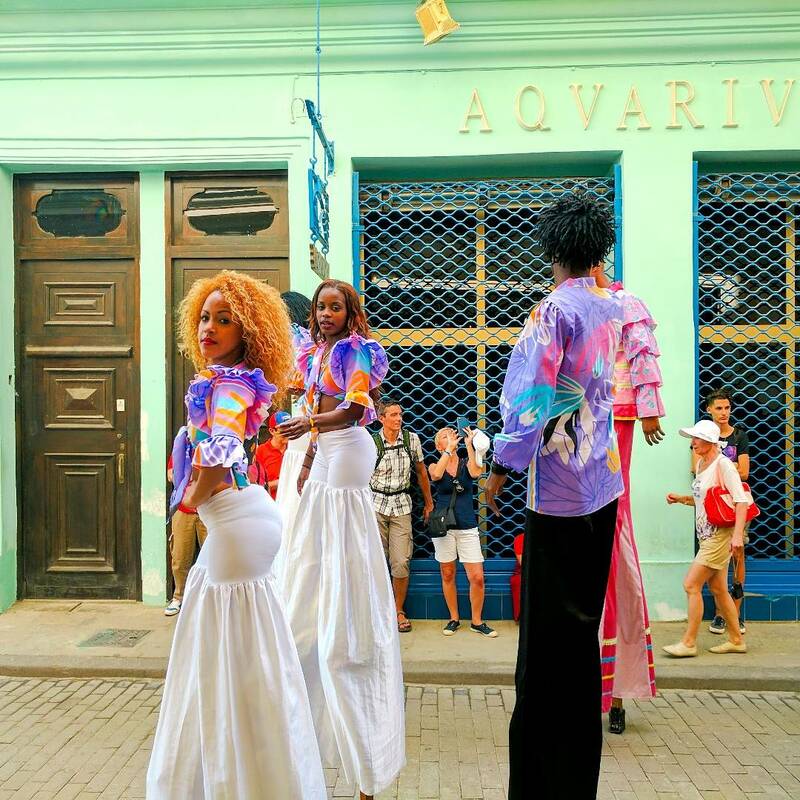 If not you can still get a taste of the experience pretty much everywhere in Havana. While you’re in Cuba make some new friends! The locals are all incredibly friendly and you might even get the chance to sit down and have lunch with a local. We had lunch with Political Science and International Relations Professor Camino Garcia Lopez-Trigo. If you’re looking for some fun entertainment, catch a show at Buena Vista Social Club. 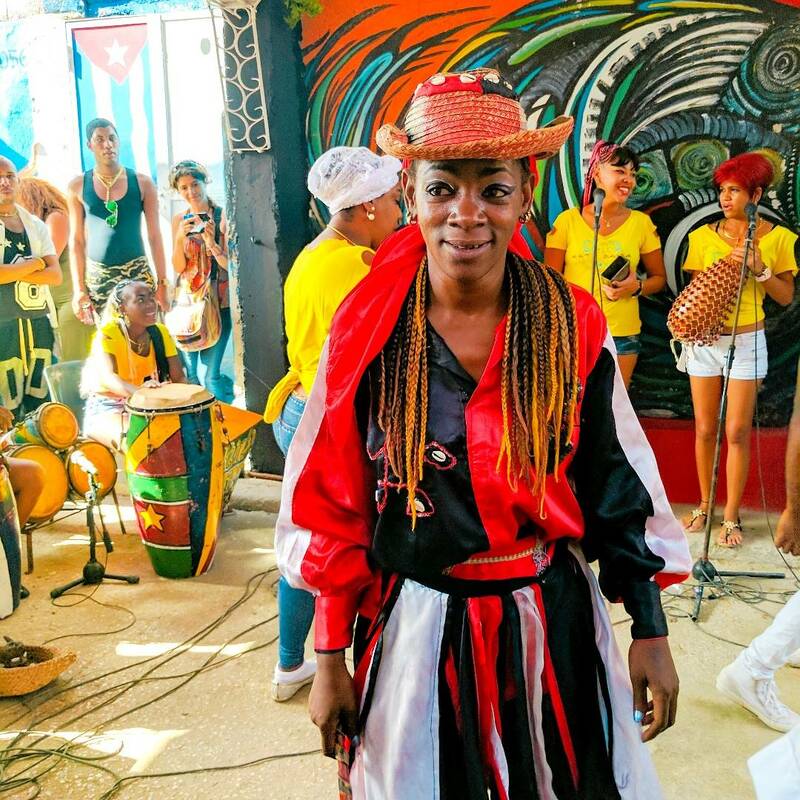 These interactive shows give you a taste of Cuban culture and are also a lot of fun. Plus I love dressing up for a night on the town! 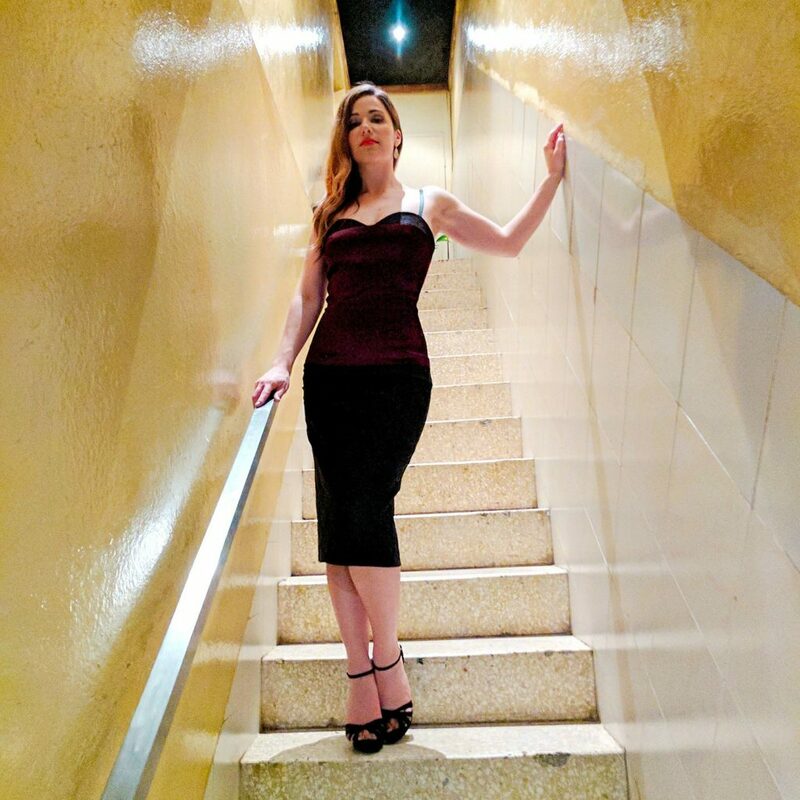 Here I’m wearing the Black Halo Clover Sheath Dress. Alternatively, you could check out a jazz club and listen to some live music. Hamel Alley on Sundays is a must. Here you’ll be able to hear Cuban Rumba music played live. Another Sunday must is Salsa dancing at Club 1830. Bishop Street is a fantastic place to people watch and enjoy a slow stroll. It’s also close to the Handicraft Market which is a fantastic place to get unique souvenirs to take back home. 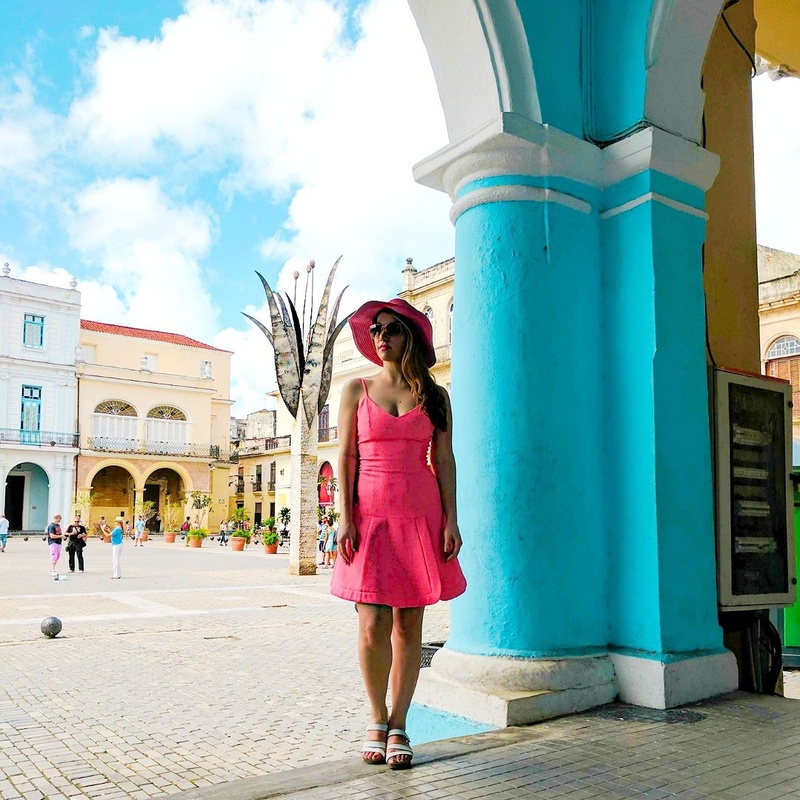 To really get a feel for what it’s like to spend 3 days in Havana, Cuba you can watch my Cuba Travel Guide. 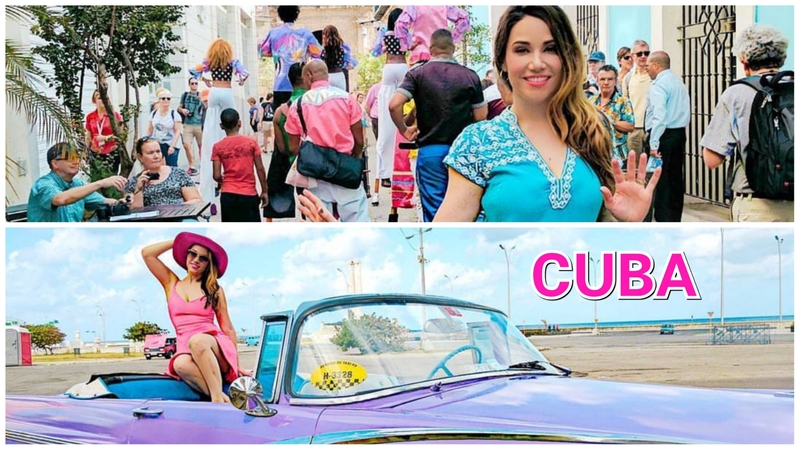 Here you can view suggestions of 25 amazing things to do in Havana, Cuba and see an in-depth video of different hotels, restaurants and more! Be sure to schedule some time to go to Fábrica de Arte Cubano as well. It runs from Thursday to Sunday every week and gives you the opportunity to rub shoulders with artists of all kinds. It was under renovation when I was there, but I’ve heard such amazing things! Even if you only have a couple of days in Cuba you can still experience so much of what the country has to offer. You won’t even have to leave Havana to do it. If this trip sounds like fun head over to Cuba Travel Adventures Group and book your weekend in Havana now! 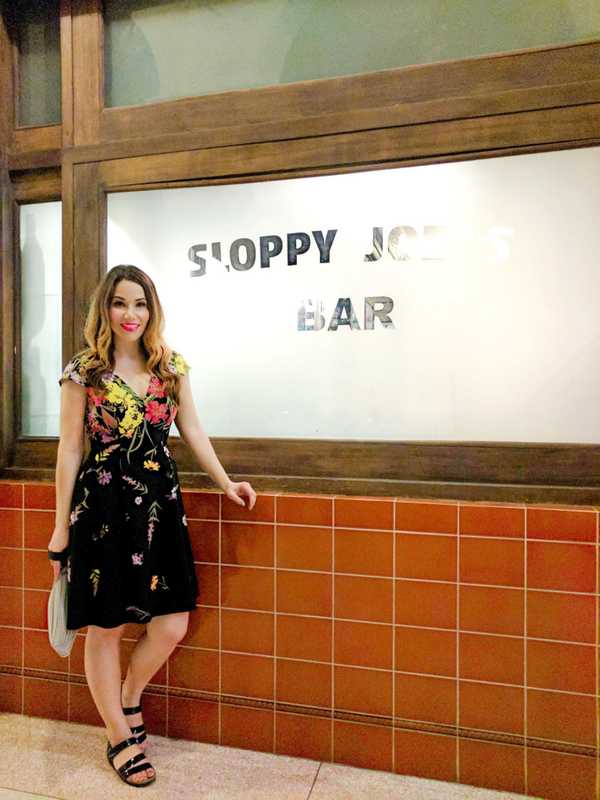 And if you enjoyed this guide, I also suggest my guide on how to plan a romantic weekend getaway to New Orleans. Such a colorful and memorable travel adventure! Thanks for sharing! This post is amazing! I’ve been looking for a good post about places to stay/things to do in Cuba. Thanks for sharing! I am dying to go here!! So jealous of your travels! Cuba is on my bucket list and I’m dying to go! 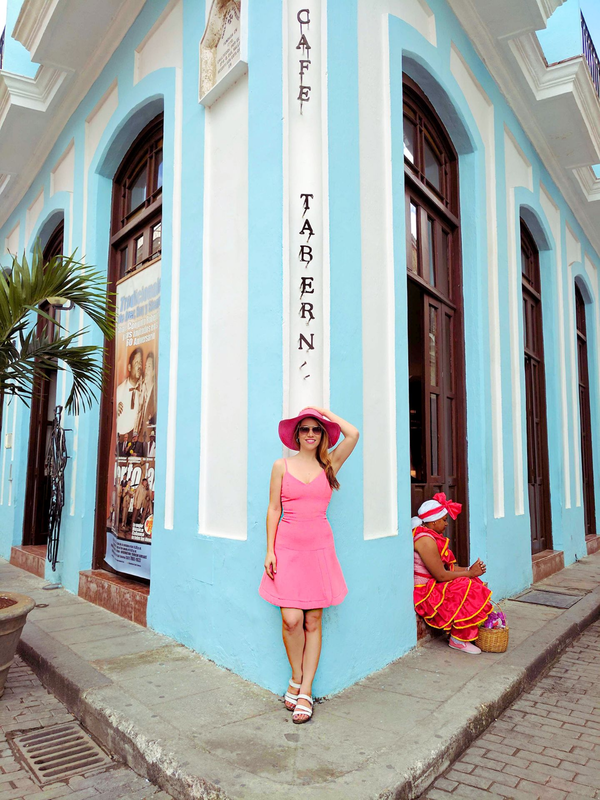 THANK YOU for this guide Stuart, I am dying to go back to LA HAVANA! I went there 13 years ago and I loved it! It’s such a great place. I l follow your guide next time! love the photos! my family is from cuba and it seems surreal to see it from your perspective! I always love seeing photos of the buildings in Cuba! They’re always so pretty! I loved reading about your trip! Such fun colors and outfits! Cuba is definitely on my bucketlist of places to visit now! Such a fun post! I’m glad you had a wonderful time on your trip, it looks beautiful. Gorgeous photos! Putting this on my list! Wow loving all of these photos and all the colors! You planned your outfits so well too! I feel like I would want to go just for those cars! You look amazing with them! Also I love that outfit at the beginning with the red shoes, super cute! Looks like such an amazing trip! Loving all the bright colors and I your pictures are gorgeous! Wow, this is an incredible post! For as long as I can remember, I have wanted to go to Havana. You have taken such beautiful pictures. Thanks for sharing! Thanks for all the tips, I’m actually visiting at the beginning of next year for the first time! I loved reading this post! It looks like so much fun! One day…..